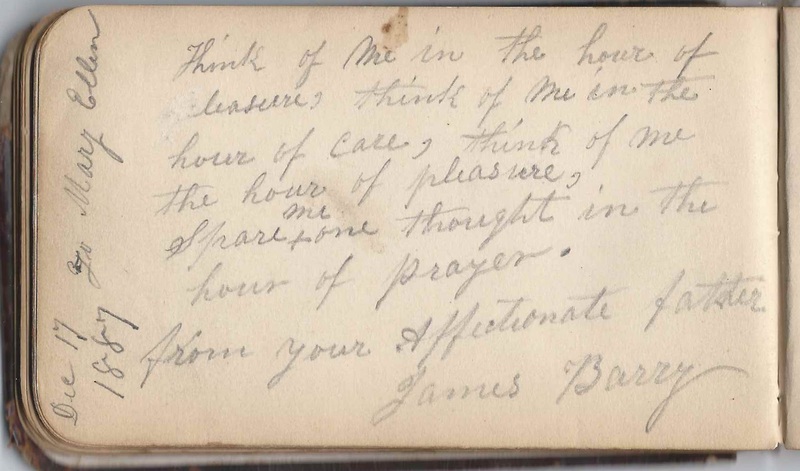 1883-1920 autograph album that belonged to Mary Ellen Barry of Wallingford, Connecticut, with sentiments collected before and after her marriage to Nicholas L. Sutton. 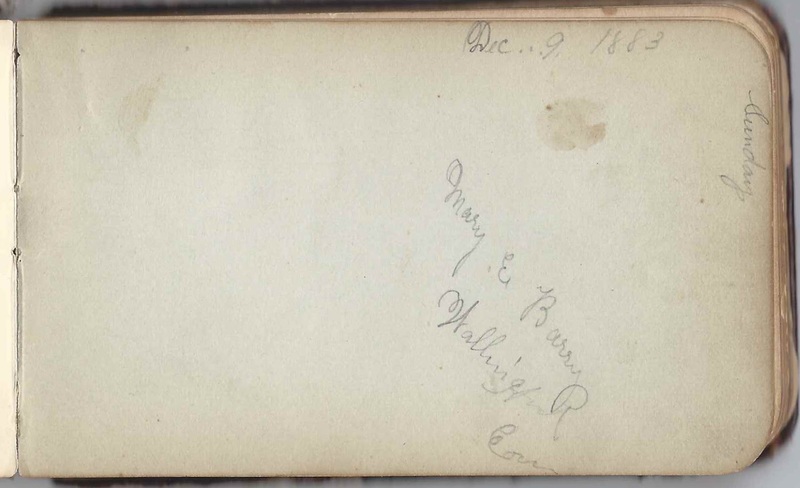 Mary Ellen, who was known as Mamie to some of the signers, signed one of the first pages before her marriage and signed the inside back cover, upside down, after her marriage. She then included her address, 167 South Colony Street, Wallingford, Connecticut [see street view at end of this post]. I don't have the date of death of Mary's mother, Mary (Foley) Barry, but it's possible that the top image was signed by Mary's mother Mary (Foley, I think) Barry, rather than by Mary Ellen Barry herself. 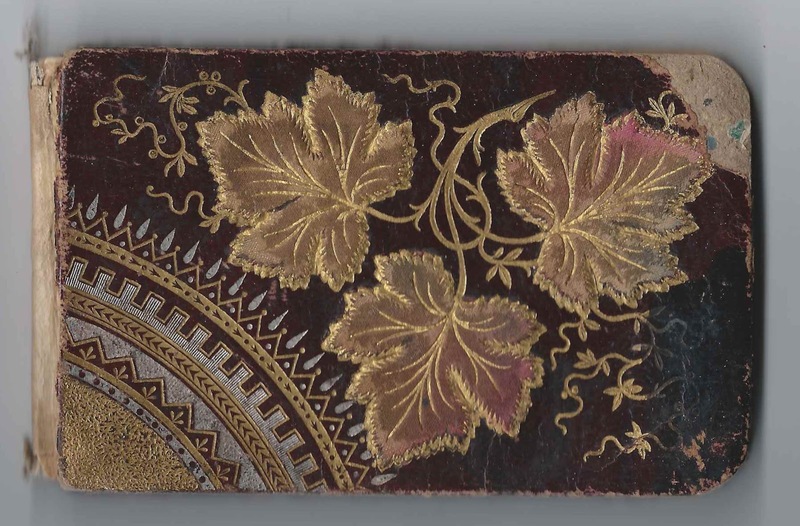 The album is approximately 5-1/2" x 3-1/4" and contains the sentiments of 35 of Mary Ellen's relatives and friends, some of whom signed multiple pages. An alphabetical list of the signers appears at the end of this post. Mary Ellen Barry was born about 1861 in Connecticut, the daughter, I believe, of Irish immigrants James and Mary (Foley) Barry. 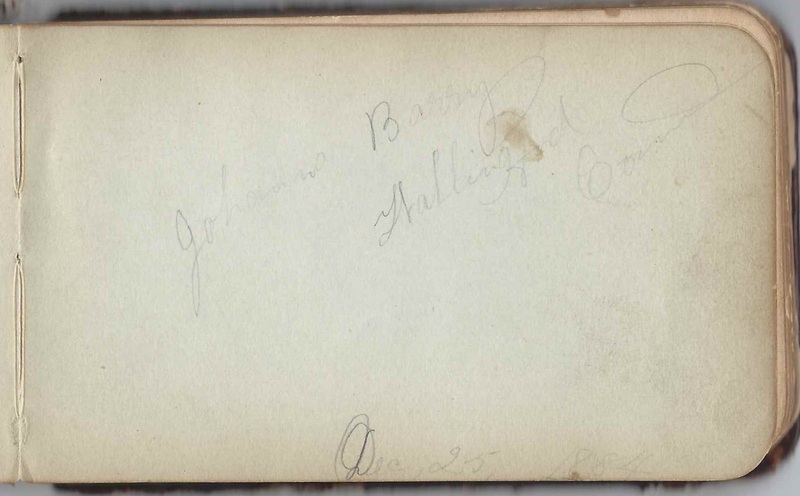 James Barry signed two pages in his daughter's album on December 17, 1887. I believe Mary Ellen had six siblings. 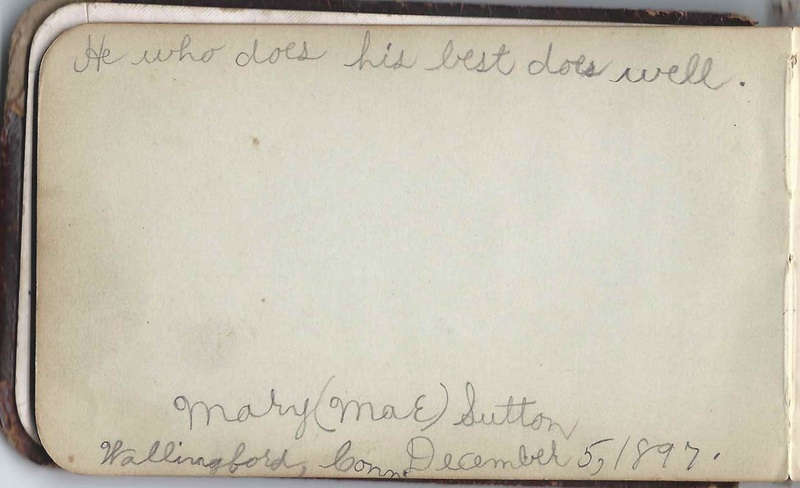 Her older sister Johanna Barry of Wallingford, Connecticut, signed a page on December 25, 1884. 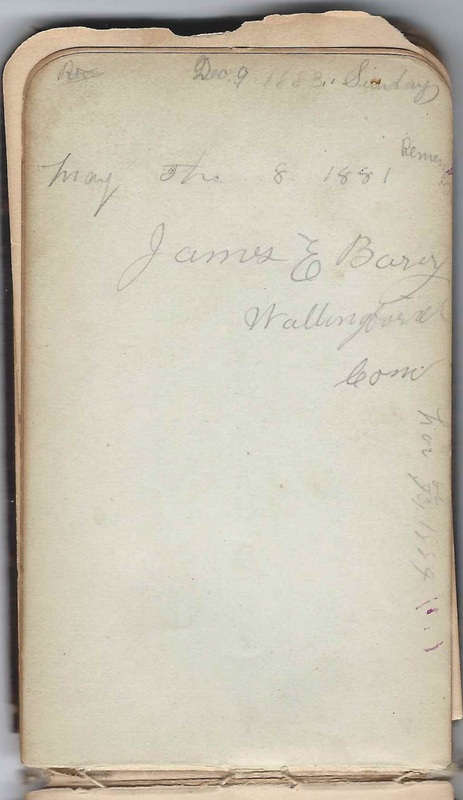 I believe it was Mary Ellen's brother James who signed as James E. Barry of Wallingford, Connecticut, who signed a page on May 8, 1881 and apparently revisited the page on December 9, 1883. Other relatives signed pages as well; refer to the list of signers below. About 1886, Mary Ellen Barry married Nicholas L. Sutton, who was born about 1862 in Ireland, the Irish Free State as noted in one of the Censuses. Mary Ellen and Nicholas had at least six children, and it appears that they brought up several nieces and nephews as well. 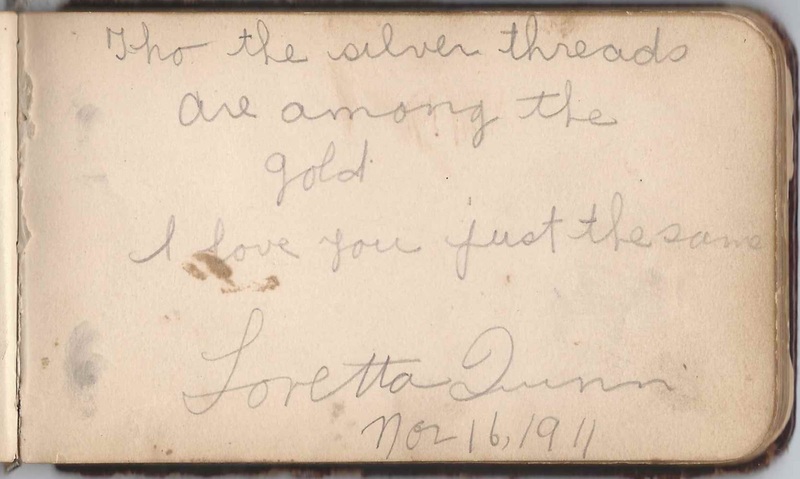 Several of the children and niece Loretta Quinn signed multiple pages. 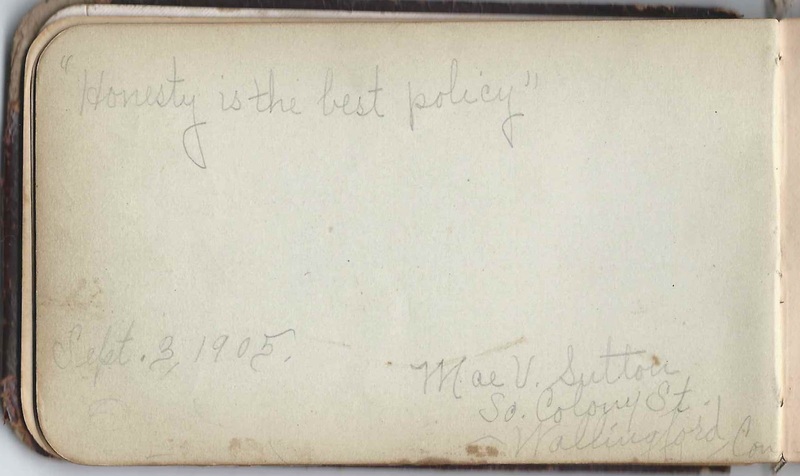 Daughter Mary Sutton, "Mae", signed pages on December 5, 1897 and September 3, 1905. 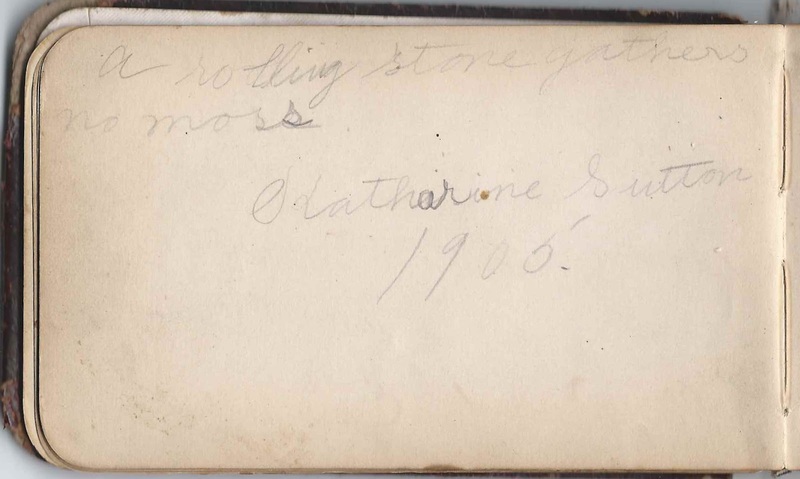 Daughter Katherine E. Sutton signed two pages, one of them in 1905. 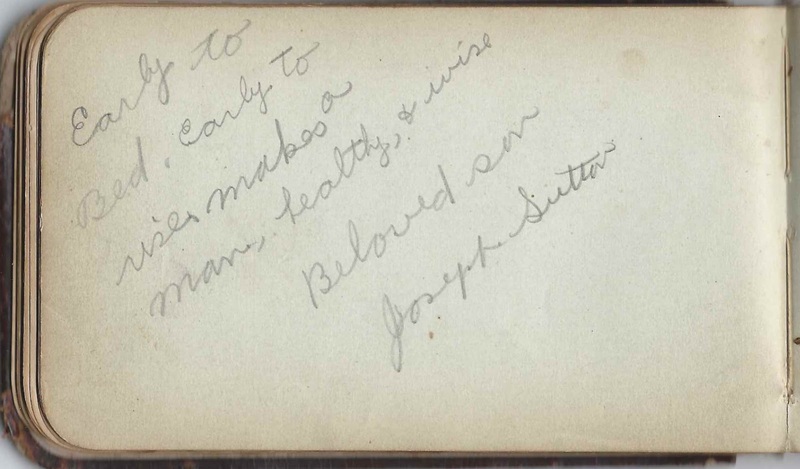 Son Joseph Sutton signed a page. 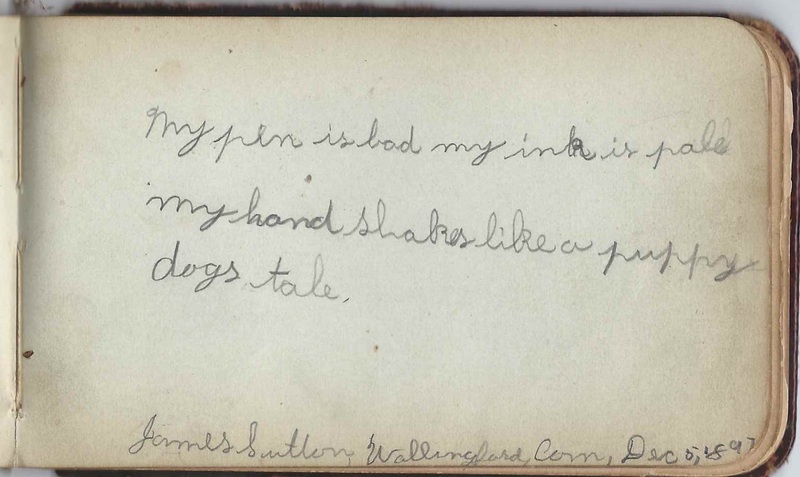 Son James Sutton of Wallingford, Connecticut, signed a page on December 5, 1897. 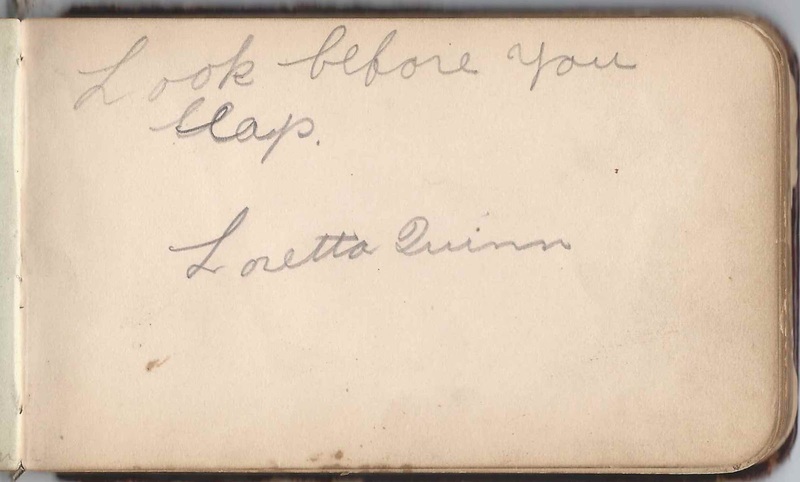 Niece Loretta Quinn, who lived with the family, signed several pages. J. M. R., signed on July 22, 1884, at Birmingham, Connecticut. There was another person in the album who gave a residence of Birmingham, Connecticut; that person was B. T. Roche. Perhaps this was J. M. Roche? Mary Ellen Barry of Wallingford, Connecticut, signed on December 9, 1883. 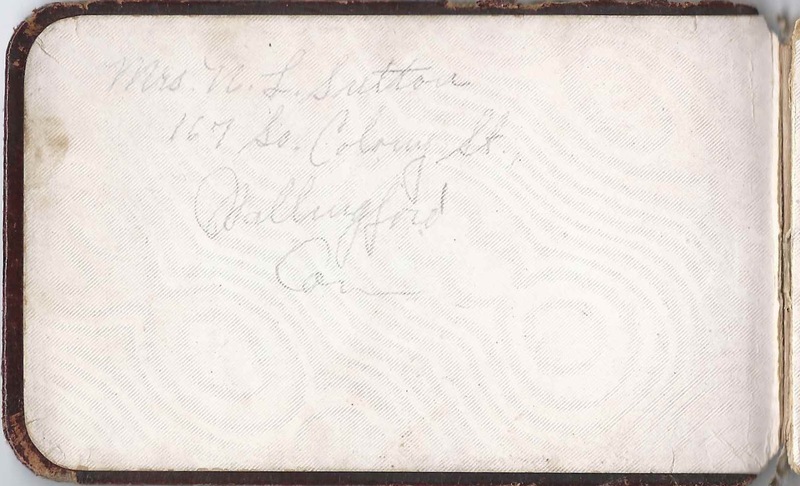 She also signed the inside back cover as Mrs. N. L. Sutton and gave her address in Wallingford, Connecticut. Claire Barry; she signed other pages as well. Katherine R. Barry of Wallingford, Connecticut, signed on January 23, 1920; Mary's niece, presumably the daughter of Mary's brother Maurice J. Barry and his wife Mary. 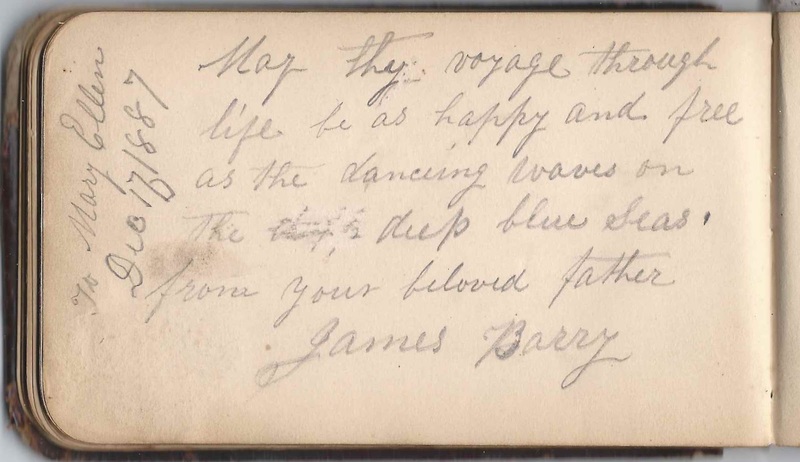 James Barry, signed on December 17, 1887. 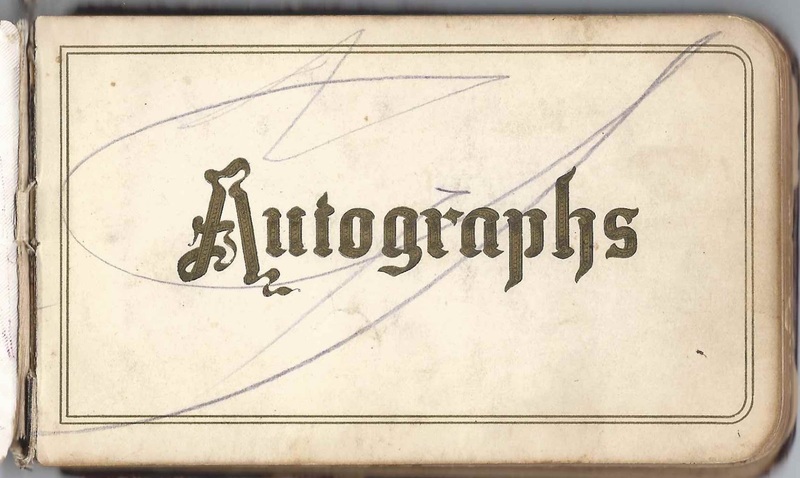 Mary's father, who signed two pages in her album. 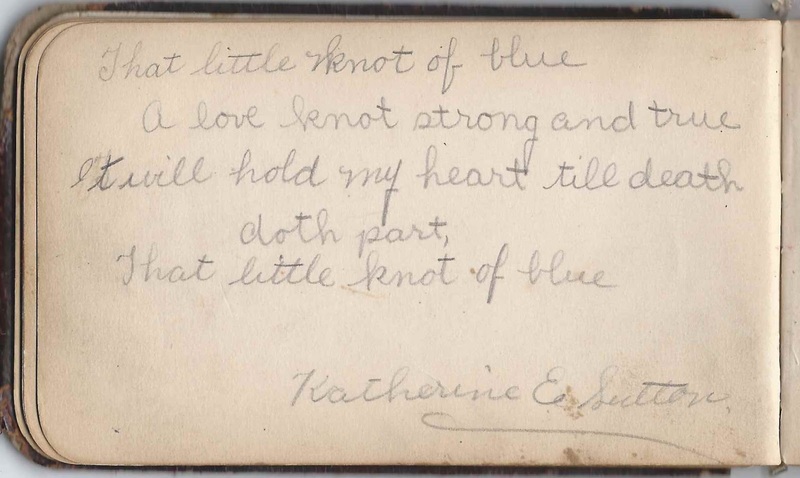 Katharine E. Sutton, signed in 1905. She was Mary's daughter. Joseph Sutton, Mary's "Beloved son"
Hopefully this is the correct house for 167 South Colony Street, Wallingford, Connecticut, and that it's the house that existed when Mary Ellen (Barry) Sutton lived there.